Samsung’s Swedish site recently revealed a new program that offers hypnosis so that you can erase your memories and re watch your favourite shows for the first time. The program is called Unspoil Me and it’s comprised of 23 minutes of swirling patterns, mesmerizing music and a hypnotherapist directing your thoughts and attention in order to erase your memory. Now, here’s the kicker, this is not a joke. This is totally real, and the implications of what this technology could really do are concerning. We can only hope that people will not fall for this and that maybe tv shows, are actually just not that important? We can only hope. This isn’t something new, despite the fact that we don’t hear much about it. The US military was using hypnosis in the Vietnam war, erasing soldiers memory and then sending them back out to battle. We have to ask ourselves what kind of other possible effects this could possibly have on our brain. “Before starting the experience I guarantee that I’m over 18 years old, fully mentally healthy and not suffering from any neurological problems or epilepsy. If not, I guarantee that I will contact a doctor before I take part of the experience. 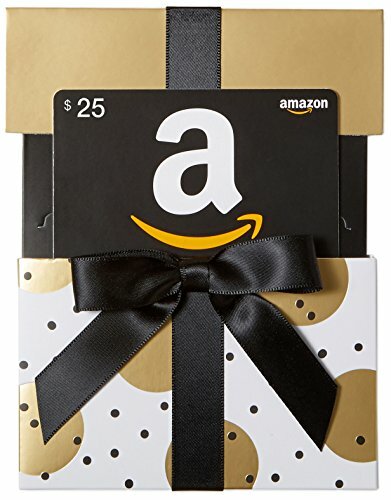 If I suffer from abnormally low blood pressure, I will also consult with a doctor before taking part of the experience.” Amazon.com $25 Gift Ca... Check Amazon for Pricing. The suggested guidelines for the hypnosis session involve putting in headphones, isolating themselves in a tranquil place so that they can watch the whole video with no interruptions. A suggested one nights sleep is also recommended before they attempt to watch the show that is inevitably responsible for this whole ordeal. What Actually Happens During This Hypnosis? The session begins by having hypnotic patterns swirling on the screen and then having a hypnotist come on and introduce himself. There is a genuinely creepy vibe, and then the music starts and views are instructed to focus on the swirling pattern. After all this the hypnotist claims that the show to be forgotten will become just a “small fuzzy image” in the subject’s mind and that after one full night’s sleep a dream will “install” this new found amnesia towards the show. The fact that one human being can make another follow their will completely without question is concerning. We’ve seen this type of thing, although the Samsung technology is different, the same concept of hypnosis was and probably still used within the MK Ultra program. Is There More To This Than Meets The Eye? I’m just going to go out on a limb here and say, yes, most likely. A software that can literally hypnotize you and erase your memory, simply so that you can re watch your favourite T.V. show for the first time, is, in my opinion, nuts! First of all, who knows what is really going on during this hypnosis session, there could be all sorts of other subliminal messages being used and you would have no idea. It’s hard to put your trust in any type of major corporation these days that attempt to ‘play’ with your consciousness. We can hope that the majority of people out there will have enough awareness to know that this is probably not the best idea to partake in, in my opinion, and that really, are T.V. shows that important? We need to find better ways to use our time, erasing our memories to watch even more T.V. – this has gone too far! Is this all we are? Drones and slaves who simply enter into the system without ever questioning it? Go to school, get a job, watch T.V., go to the bar, put your total trust in the government and the corporations that control them, don’t worry about the world…. That seems to be the message. On the positive side, no, this is not all we are! We are amazing beings with so much potential, way more than we are even aware of. Something special is happening on the planet right now, human beings are starting to actually question the human experience. This means that we are in the process of building another one, and the catalyst for that is the massive shift in consciousness that’s happening right now. We’re waking up, and starting to see things in a different way. We are waking up from the hypnosis we’ve been in. Ask yourself, are your thoughts really yours? Are your wants really yours? Or have they been programmed into via mass marketing. There are may different forms of hypnosis, but not all of us are hypnotizable! One needs to be extremely wary about being guinea pigs for a corporate-sponsored hypnosis session.